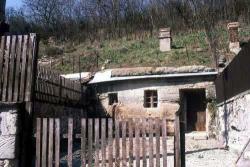 One of the most significant remains of rustic architecture are the settlements made in stone and rock in Brhlovce. Since 1992 the settlement Nr.142 has been set up as an exposition of the Tekovian Museum which documents this different local kind of dwelling, architecture and furnishings of the inhabitants. The settlements have been since 1983 a national reserve of rustic architecture which won the international prize “Europa Nostra `93” given by the European Commitee for countries and small cities. Some of them are settled still inhabited today. 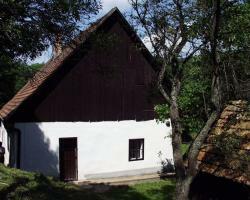 The water mill in Bohunice is an exhibit of the Tekovian Museum where visitors can see how the millers craft was made in the past. The mill settlement of the miller Pavol Turcan is situated by Sikenica brook about 2 km from the northern part of Bohunice village. It is a type of water mill with a mill wheel on an upper drive. The Memorial room was opended to the public in 1978. It is situated in sc. Owl chateau, where the famous composer Franz Schubert was engaged as a music teacher during his visits to the Eszterhazy family in 1818 and 1824. 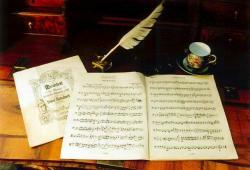 The documents and furniture exposition records the work of this world famous composer in Zeliezovce.